What Do I Bring to my Social Security Disability Hearing? Last week I had a client ask me what she should bring to her hearing. The information below is essentially what I told her, but be sure to ask your Morgan & Weisbrod attorney or his or her paralegal if you have any additional questions. No documents, unless it is something you JUST got from a doctor (like a form you asked the doctor to complete for this hearing) or that we specifically asked you to bring. Also bring a valid government-issued ID. We don’t want you to be fumbling with papers because it is usually better to be trying to make eye contact with the judge or possibly a medical expert. Some clients search his or her papers because of anxiety. Other clients get so caught up in finding a particular document that they spend too much time rifling through their papers. It gets distracting and takes more time than they realize. Also, it is very likely that whatever paper you spend that time looking for is already in the exhibits. Secondly, if you really can’t remember something, that is okay. 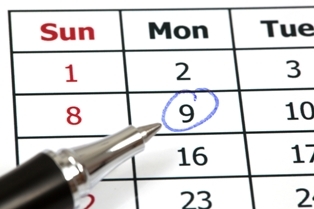 Your attorney should be able to provide specific dates, if needed. We want the judge to observe that you really have problems with your memory or concentration due to the side-effects of your medications, a particular medical condition (e.g., depression), or due to the severity of your pain. The ONLY paper I want you to have is possibly a single sheet of short notes (for our eyes only) about how you tested your limits for standing/walking/sitting or specific examples of your memory issues. Before the hearing your attorney will carefully review your medical and non-medical exhibits carefully and make notes about what he or she deems relevant (e.g., helpful facts). We will have your exhibits on our computer and be able to review them during the hearing.